If you are interested in becoming an MBA graduate, you may be interested in learning whether or not you can get a Global MBA online. Being an MBA student can be challenging due to the fact that a majority of students are also full-time professionals who have a commitment in the office. Studying online has become a great option for students who want to establish a balance in their professional lives and their lives as students. If you are interested in learning about the online options that exist for prospective MBA students, read on and find out if distance education programs are available. 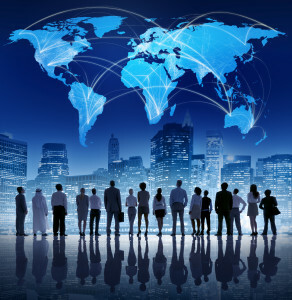 What is a Global MBA Program? There are several different types of MBA programs that all focus on real-world business concept and skill development. While all Master of Business Administration programs will have a focus on the core areas of business, they also take a unique approach and place an emphasis on a specific area of study. If you are seeking a position in marketing, for example, you can take a program with a concentration in this field. For those who plan on working in a global business environment, taking global programs can be beneficial. Instead of just focusing on specialization areas, you will focus on business from a global perspective. This means that you will learn about different cultures, how different regions do business, and unique challenges that global companies face today. You may even be required to study overseas so that you are immersed in a culture foreign to you for a deeper and stronger cross-cultural understanding. Since not all programs are created equal, you need to ask the right questions before ever enrolling in online programs, according to US News and World Report. Can You Study Curriculum From a Global Perspective Online? Since global programs are mainly about immersing students in a new culture, it can be difficult to find a global program that is delivered entirely online. If you want to take a program that is really going to give you a dose of new cultures and global business concepts, you need to be in person for a portion of the program. This is why any effective online global MBA program that you come across with be a combination of face-to-face learning sessions and online curriculum. It is the perfect combination for professionals who need flexibility but who also want to network in an interactive and culturally diverse environment. What Classes Will Be Delivered Online? Online global programs are defined as blended because a large portion of the curriculum is delivered online and a smaller portion is delivered in the form of a face-to-face session. The programs will typical last from 15 months to 2 years in length and only the sessions where networking and immersion is necessary will be in-class. You will read text, access virtual campuses, take quizzes and even have discussions online. The face-to-face sessions will be strictly for the networking aspect and important methodology. It is important to choose the right type of MBA program that will help you develop the elite skills the elite professionals have. Online MBA programs can be valuable and offer you a return on investment if you put the skills developed to use, according to CBS News. Make sure that you compare global programs that are accredited to find the one with the most flexible layout and the best rankings. Once you find where you can get a Global MBA online, decide which structure is best for you and then make your decision.